Welcome to Lia Hyundai of Hartford, your New, Certified and Used Car Dealer Serving West Hartford CT, Torrington CT, Meriden CT and Manchester Hyundai Drivers! At Lia Hyundai of Hartford we pride ourselves on customer service and want your experience on our website and at our Hartford, CT dealership to be an excellent one. To help you get started we've included easy access to the popular areas of our dealership's website. 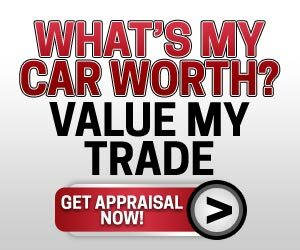 So whether you're looking for a new car, used car, certified used Hyundai car, car repair, or parts you'll find exactly what you need very easily. Choose between a new 2018 Hyundai car or SUV and be sure to see what this months new car specials and incentives are. For the more budget minded a Hyundai Certified Pre-owned may suit your needs. No matter what you decide we're sure you'll find the new or used Hyundai at Lia Hyundai of Hartford. At Lia Hyundai of Hartford you'll find only the best used cars for sale. See this months Pre-Owned Deals, or visit our used car inventory for a large selection of used cars and SUV's for sale in Hartford, CT at Lia Hyundai of Hartford; a new Hyundai Dealer and Used Car Dealer in CT.
Come by Lia Hyundai of Hartford's state-of-the-art Hyundai repair facility and vehicle service center for all of your Hyundai warranty and automotive repairs. Our Parts Department stocks all of the Hyundai OEM and Aftermarket Parts you may need to repair your car. If you aren't in need of car repair in Hartford CT, we've also got genuine Hyundai Accessories for your new or used Hyundai. 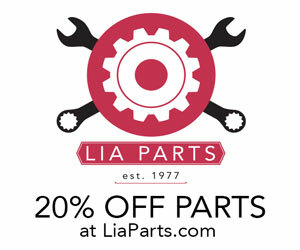 Take advantage of this months specials at Lia Hyundai of Hartford and print or email the one's you're interested in. Choose from a selection of New Car Specials, New Car Incentives, Pre-Owned Specials, Parts Specials, or Service Specials. Start your car loan financing application today with our secure online credit & finance application. This will help you get started with your credit approval for a new or used car purchase, or even a new Hyundai lease through Lia Hyundai in Hartford CT. If you have any concerns about your credit don't worry because Lia Hyundai of Hartford has a proven track record of helping people get approved when bad credit financing is the only option. 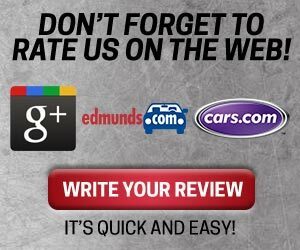 Need help finding our Lia Hyundai of Hartford dealership in Connecticut? If you're in the market for a new, used or certified preowned car our Hartford CT Hyundai Dealership is a one stop location for all of your car buying, leasing, service and repair or parts and accessories. Here's a little assistance in finding our Hartford CT location from some of the local towns we serve. Please make note of our address at 20 Jennings Rd. Harford, CT 06141 before you start your drive. The most direct route for Farmington residents is to take I-84 East to exit 51, and merge onto I-91N towards Springfield MA. Take exit 33, Jennings Road, and make a right. Our Lia Hyundai of Hartford CT Hyundai Dealership will be on your right. Here's a short & easy trip for anyone coming from West Hartford CT. Head Northeast on Farmington Ave towards Main St. and take a right onto Broad St. Get on I-84 towards I-91F and take exit 51. After about 1 mile you'll get off exit 33 which is Jennings Rd and take a right. We're less than a mile down on the right. If you're traveling to our New & Used Hyundai Dealership from Vernon CT there are a few different options. The most direct and shortest is to take I-84 West just over 11 miles to exit 51 and merge onto I-91 North towards Springfield MA. Exit off of I-91 at the Jennings Rd exit 33 and take a right. Estimated driving time is about 15 minutes. If you live out of the area and need door to door driving directions to our Hartford CT Dealership please visit our Directions page or give one of our friendly staff members a call for assistance. We look forward to meeting you in person and helping you with your new or used car purchase or lease. As you peruse our website take a few minutes to search our New Hyundai Inventory. You'll find a large selection of Hyundai cars and SUV's. If you're not sure what Hyundai will best fit your needs then visit the New Vehicle Showroom on our website to see the various new Hyundai Cars, SUV's, and Crossovers for sale from one of the finest Hyundai Dealers in CT.